Summertime means beach time. 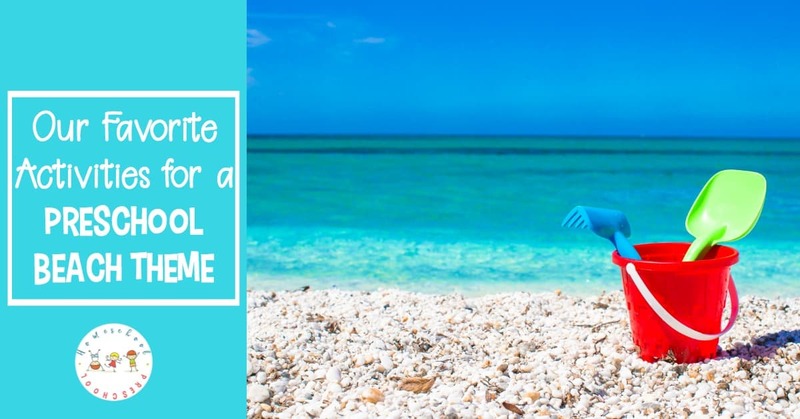 Whether you’re heading to the beach or just learning about it, these are the best activities for your preschool ocean theme. I love teaching preschoolers about the ocean and/or beach. There are so many activities to do across a wide variety of subjects. The possibilities are endless! I love teaching about the ocean and the beach. Preschoolers are often fascinated by ocean animals, sand, and waves. 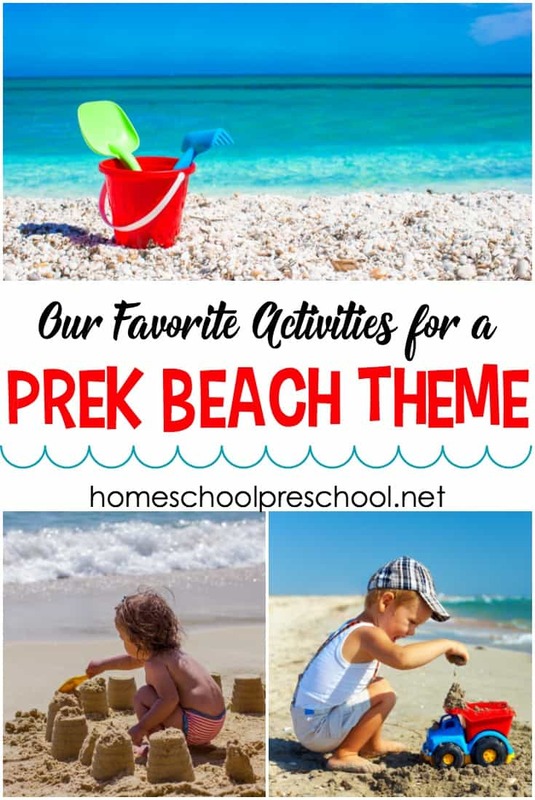 Since there is no shortage of books, printables, and themed resources to incorporate into your beach theme for preschool, this will be an ever-growing collection of beach and ocean-themed activities. • 18 Engaging Sea Turtle Books for Kids – Sea turtles are amazing creatures. These fiction and nonfiction sea turtle books will introduce kids to these amazing sea creatures! • The Best Ocean Books for Preschoolers – Is your little one dreaming of the beach? Are you planning a beach vacation? If so, fill your book basket with these ocean books for preschool readers. • 27 Ocean Animal Books for Preschoolers – I love this collection of 27 ocean animal books! They are great for young readers who are learning about animals and the ocean! • Free Ocean Theme Preschool Printable Pack – Check out these FREE preschool ocean theme printables! These printables will help kids learn colors, alphabet, and math with a fun ocean theme. Perfect for your summer homeschool preschool lessons! • Sea Turtle Life Cycle Unit Study – Studying marine life is exciting for kids! If your preschoolers are interested in sea turtles, it might be time for a sea turtle life cycle unit study! • Ocean Count and Clip Cards Tot and PreK Printable – Counting to 20 has never been so much fun! • 30+ Ocean Themed Crafts for Preschool – Are you looking for something fun for your kids to do this summer? How about making one of these fun ocean themed crafts for preschool! • Simple Paper Weaving Sea Turtle Kids Craft – Download the free template and follow the tutorial to make a simple paper-weaving sea turtle kids craft with your preschoolers! • Easy Egg Carton Ocean Animal Crafts – These egg carton ocean animal crafts are perfect for summertime! Decorate recycled egg cartons and turn them into cute sea creatures. • 27 Ocean Animal Crafts for Kids of All Ages – Whether you’re planning a trip to the beach or just dreaming about one, this collection of adorable ocean animal crafts is sure to be a hit with your kids this summer! • 10 Jolly Jellyfish Crafts – Grab some coffee filters, cupcake liners, buttons, and other household items to create ten unique jellyfish crafts. These are perfect for your upcoming lessons including Jj is for…, oceans, and animal unit studies. • Ocean-Themed Skittles Candy Science Experiment – Summer science at its finest! You don’t want to miss this ocean-themed Skittles candy science experiment. Your kids will beg to do it again and again.